It was great to be with the Church! For the first time since the flood, the congregation of The River (better known as the River family!) met together, under one roof, for worship. What a time we had! We didn't take the greatest pictures, but they catch the excitement! You are God in every circumstance. You are God who holds us in your hand…"
The combined voices of our people, many of whom are reeling after suffering heavy losses, rose together in praise, as God's Holy Spirit moved among us. 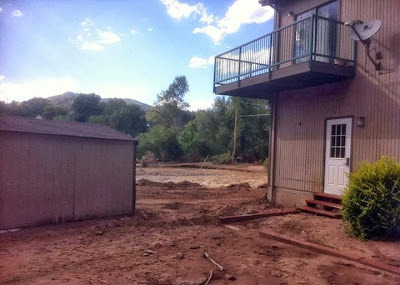 The flood waters have severely damaged our newly purchased building and have transformed the church property from a beautiful, green, peaceful place into a wasteland of mud. But the "Church" is strong and well, united by the power of Jesus. There is much excitement as we face this opportunity for an "Acts 29" experience, a time when we see God's mighty hand at work among us. It will be hard for me to keep everyone informed about all the miracles we are seeing day by day, but I'm going to try. And one of the miracles we heard about this morning in worship was about how God provided a home where we can all gather for worship. And now is the time for us to worship together. Let's wrap our arms around one another as we face the challenges ahead. 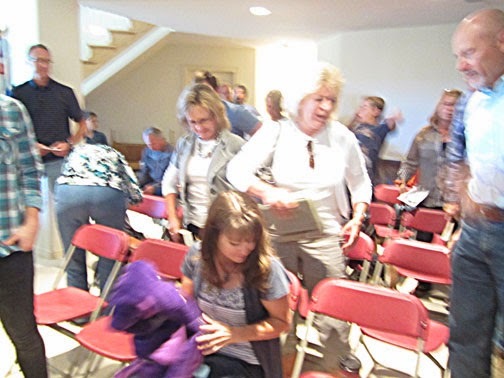 Now is also the time to invite neighbors, many of whom are struggling with the same heavy losses, but without the comfort, peace and security that comes with a relationship with God. As we reach out to the community, let's do so with open arms and invite them to be part of our family at The River, and part of His family forever! What is that noise? A terrible grinding, pounding, thrashing sound, combined into a terrifying roar was just outside our house. We crept out onto the deck and tried to see, peering into the darkness and torrential rain. We couldn't see anything, not that first night, but we could hear! The South Fork of the Saint Vrain river hadn't just risen, it had formed a massive fist, smashing through the valley on the other side of the road. That first night was a night of sounds – drenching rain and vicious thunder; the sound of silence when the power was lost; the sound of the phone, ringing at 2 a.m.; mournful sirens – but most alarming, the terrible, thundering roar of the river. The next day, our eyes began to see what our ears could only imagine. It was worse, so very much worse, than what we had feared. Lyons had been devastated. Massive trees were surging by in the river. Hundreds of people were emerging from the rubble in neighborhoods around town, with shock and disbelief.It wasn't easy, but we made our way over to the church building to see if it was still standing. Six feet of water was pounding up against the far wall. 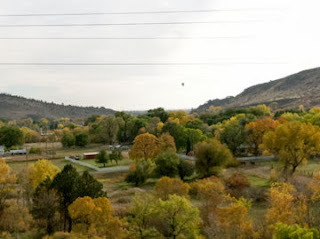 Anywhere you went in town that day, overpowering everything you could see, was the concussive thumping and crashing, the menacing full-throated growl of the three rivers that converged on Lyons and were smashing our little town. These promises have been fulfilled to us who trust in Jesus. When everything seems overwhelming, when we can't imagine what to do, that is the time to look for our Teacher, Jesus, the time to listen for His voice. He has promised to be with us no matter what the storm and we take Him at His Word! Here it is, the first of a regular update on the church building, our church family and our community. There is much going on! First, I want to share this scripture — this is God's Word and it is written to us! the LORD blesses His people with peace” (Psalm 29:10,11). He is our King who rules over every storm. Don't miss the promise here: He gives strength and peace to His people in the middle of the flood/storm. Our heart as a congregation is to glorify Him in the middle of “our” storm and be His hands and feet to our community. OUR BUILDING: Our church building and property have been badly damaged. 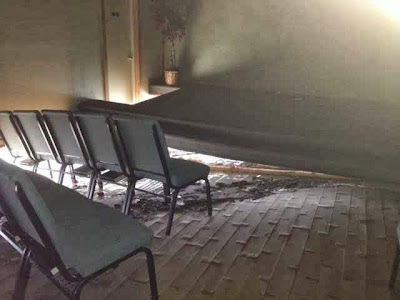 The northwest corner of the sanctuary had the foundation washed away and the floor collapsed. The river was literally “running through the sanctuary!” We temporarily secured that corner with braces and we believe at this point that the building is repairable! However, this depends on where the river ends up. 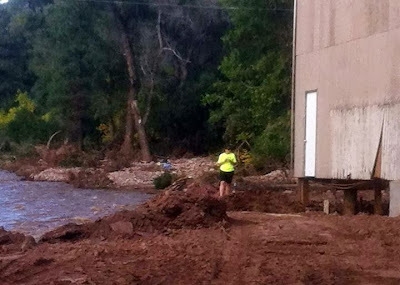 The Saint Vrain has re-routed itself and currently flows strongly only feet from the building. The Army Corp of Engineers decides whether the river gets moved back to its original location or remains on its new course. If it is not moved back then we will most likely have to rebuild. This is totally out of our hands, but we know it is in His hands! View looking toward what was our back field. The River Church is on the Right. The River Church 'backyard" with the river flowing so very close! Our sanctuary with the River literally running through it! 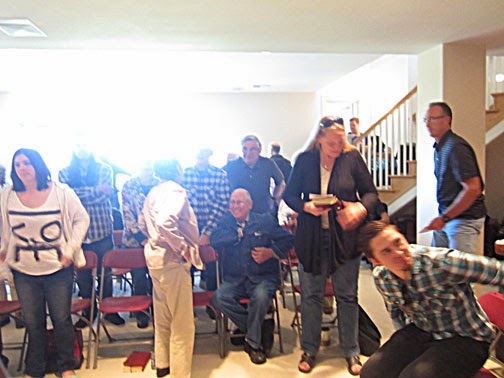 OUR CHURCH FAMILY: We had two wonderful services this last Sunday — one in Lyons, the other in Longmont. (Thanks to Merle & Peggy and Phil & Michelle for opening up their homes for church!) Jeff Sill and I discovered we preached almost the same sermon, without ever talking to each other! I love how God works. This Sunday we will all be together to worship for the first time since the flood hit! (YEAH!) We will all meet at the McKinney’s. Kim and I look forward to seeing you all! As a church body, many of our members have been affected by the flood. Some have damaged homes and some have no homes left. Please know that no one will walk through this alone! We will walk through this storm together, and He will walk through this with all of us! We have been "Hit," so to speak; we have been wounded. However, the Body of Christ has stepped up to love and support us as we recover. We have partnered with other ministries to help us in the recovery process. Operation Blessing, also operating out of LifeBridge, has "work orders" for anyone who was affected by the flood to fill out. They are keeping a database specifically for us of those affected in our church and in the Lyons community. There are over 1600 volunteers ready to begin the recovery process. If your home has been affected in any way, make sure you get a work order filled out and you will have help! We will have a church office set up in Longmont by the end of this week. You will be able to get work orders there or you can go directly to LifeBridge to register and they will add you to The River/Lyons database. Reach Global has also reached out to us and really wrapped their arms around us. They are the Disaster Recovery ministry of the Evangelical Free Church. We will have more information soon on the teams they will have to work with us. We are blessed! If you would like to volunteer, sign up with us or at LifeBridge and tell them that you are part of the River Recovery Team! They are going to make sure that they plug The River/Lyons people into the Lyons recovery effort. The volunteer teams will go in on Saturdays and begin the process of helping people put their lives back together. LifeBridge and Operation Blessing have already begun this in Longmont and other areas. We are hoping to get into Lyons soon! OUR COMMUNITY: As I already said, our heart as a congregation is to glorify Him in the middle of “our” storm and be His hands and feet to our community. With the rest of the body of Christ coming to stand with us, we hope to represent Him well! 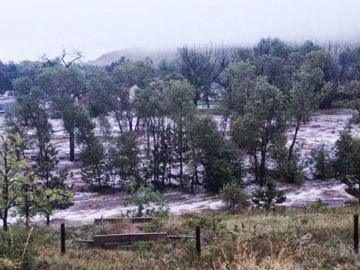 At this time we need to begin collecting “the needs.” Anyone you know in Lyons who was affected by the flood (and that is a lot of people), please let them know that there is help. All we need is to get the work orders filled out and we will get teams in possibly as soon as this week to begin rebuilding and loving people! We are setting up a blog on our website to keep everyone informed on what we are doing and what the progress looks like in our community and for the church building as well. We need to get the word out to as many as possible so if you would pass this along/forward it/share it with everyone you know that would be great!